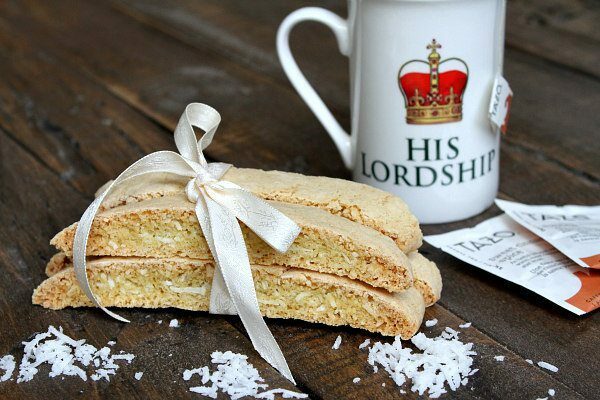 Here’s an easy recipe for Coconut Biscotti. Biscotti is a favorite of mine. I like to think of it as my “guilty pleasure” to indulge in when I visit coffee shops. Biscotti happen to be good dunkers for tea or coffee. Sometimes a bit too crunchy to eat on their own, their crispy texture is perfect for withstanding a bit of liquid. 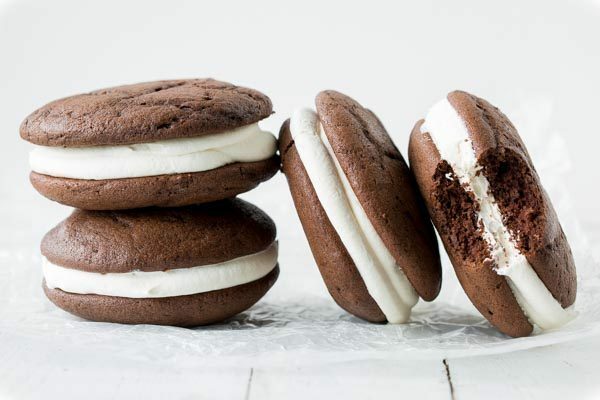 Traditional Whoopie Pies ~ Chocolate cake-like batter is baked into large, soft hamburger-sized, bun shaped cookies then filled with a fluffy, sweet marshmallow frosting. I’ll never forget when I had my first Whoopie Pie while traveling on business in Portland, Maine. My Tennessee co-workers requested that I bring back Whoopie Pies for them to share, and since this was back in the days before airline travel was so difficult, I carried a big box home with me on the plane. I have to admit, I was shocked when I saw how huge they are, almost too big to hold in one hand! Soft chocolate cake you can eat with your fingers – I’m all in! 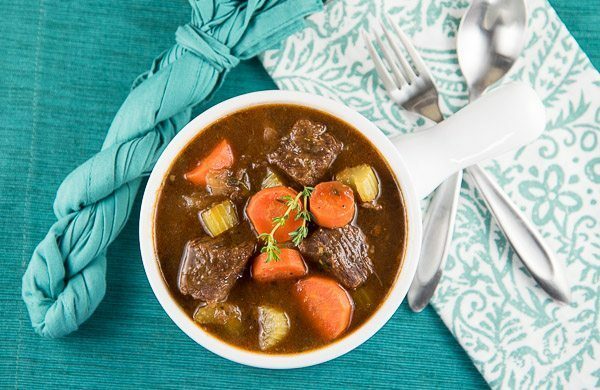 This Beef and Guinness Stew is rich and hearty with fresh vegetables and meat that is fork tender! 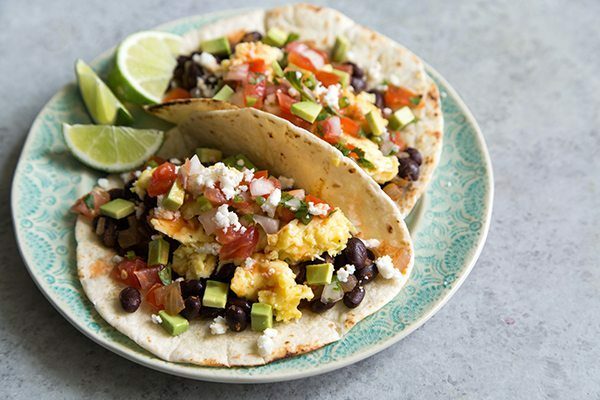 What’s in your recipe rotation come this St. Patrick’s Day? Will you be making green Shamrock Cookies, a traditional Irish Stew or Corned Beef and Cabbage, perhaps? For us, we plan to cozy up around the fire with a bowl of this rich, hearty, full-flavored Beef and Guinness Stew. 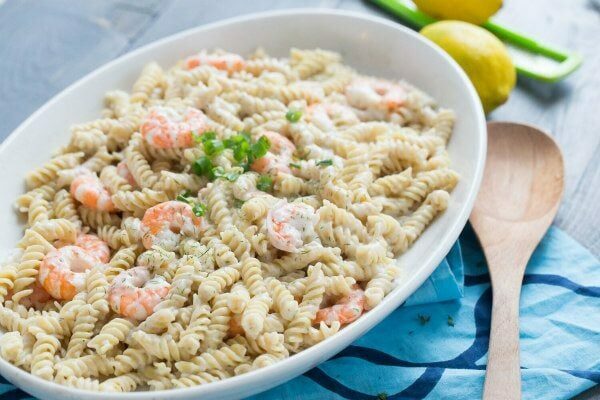 Pair this with a frothy Guinness and a side of soda bread, and you’ve got your St. Patrick’s Day party right there! Including Applets for Google, Twitch, ProPublica, Woopla, NIU, and a Widget Applet how-to. 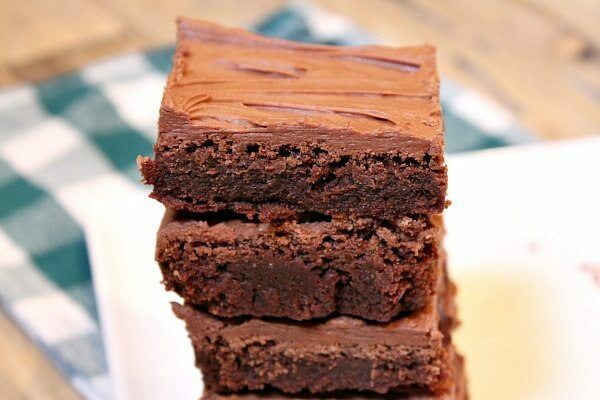 Irish Whiskey Brownies are a good boozie brownie! The brownies themselves are a fudgy chocolate brownie. The frosting is just a little bit boozed-up. If you’re not into booze, you certainly don’t have to add any booze to these brownies, but if you like the taste of whiskey, then you’ll enjoy this boozy chocolate frosting!